Plastic surgeon, MD. Associate Professor at the Department of Plastic and Reconstructive Surgery of the St.Petersburg State Pediatric Medical University. Member of the Russian Society of Plastic, Reconstructive, and Aesthetic Surgeons (SPRAS). Member of the International Society of Aesthetic Plastic Surgeons (ISAPS). International Member of American Society of Aesthetic Plastic Surgery (ASAPS). Member of the International Confederation for Plastic Reconstructive and Aesthetic Surgery (IPRAS) Member of the Rhinoplasty Society of Europe Dr. Zholtikov performs all types of plastic surgery and specializes in aesthetic surgery. 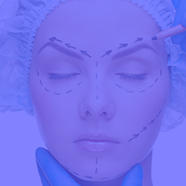 His research interests include rhinoplasty, breast augmentation and blefaroplasty. Has organized 4 international courses with live surgery. In 2010 he founded Atribeaute Clinique in Saint-Petersburg.